Have fun playing the game of soccer! Master technical skills that give players confidence and creativity with the ball. Develop small group tactical awareness through properly structured small-sided play. Encourage sportsmanship, teamwork and character development. Our staff will be comprised of top quality local coaches and will include coaches and players from the top 10 nationally ranked Franklin and Marshall College Men’s Soccer team. We hope you will join us for what will be an outstanding time of soccer fun, learning and growth — and an excellent opportunity to become a more complete player. 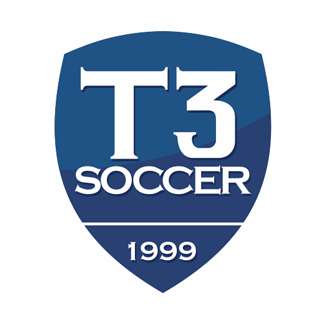 T3soccer co- founder Dan Wagner is also the Head Men’s Soccer Coach at Franklin & Marshall College where he has completed his 13th season. He is the winningest coach in F&M soccer history and second winningest active coach at F&M. In 2013, Wagner was named NSCAA D3 Mid-Atlantic Soccer Coach of the Year Southeast Pennsylvania Men’s College Coach of the Year for all Divisions. His F&M team has quietly emerged as one of the top DIII programs in the country. The Diplomats have recorded a 55-15-5 record over the past 4 seasons, gone to consecutive NCAA sweet 16’s and one Elite 8. This past season they had their first ever undefeated regular season and defeated six teams ranked in the NSCAA top 20. The Diplomats were ranked as high as #2 Nationally and have been consistently top 10 for two years. Wagner also directs the F&M Soccer Africa Project, a cooperative venture with Amandla Edufootball and the CTC Ten Foundation, serving underprivileged youth in South Africa (click here to learn more). For the past 2 years, thousands of children in South Africa have been learning the game through the use of the T3 youth curriculum.